Grand Canyon University alumni Bo Hall and Matt Cavallo both have had some challenges, some bigger than others — Cavallo, for example, is fighting multiple sclerosis. But both have come through their travails like champions. 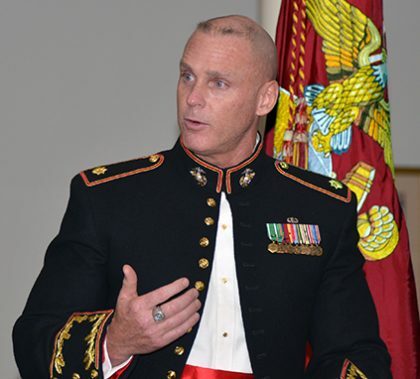 “Pity and self-wallowing can last forever if you let them,” Cavallo said. 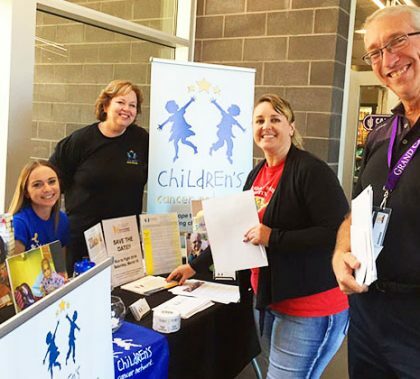 Grand Canyon University employees typically have big hearts and a desire to help others, and the Volunteer with a Purpose Fair held Wednesday gave them a chance to do just that. More than 200 attended the event and signed up to support some of the charities that help the young, the poor and the ill. “We want to be a Kingdom of God, both as a University and individually, and as followers of Jesus Christ we want to help bring justice and hope,” said Jim Miller, GCU’s new corporate chaplain. 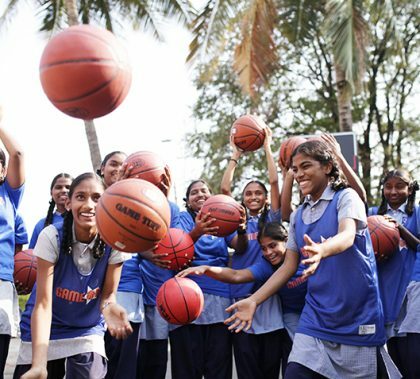 Cassandra Irving, a former Grand Canyon University basketball player who graduated in 1999, felt a calling to create sports camps for disadvantaged children in India and Ukraine, and she hopes to bring kids from the U.S. and Canada to those countries to build global relationships. “This is my way of giving back,” she said. 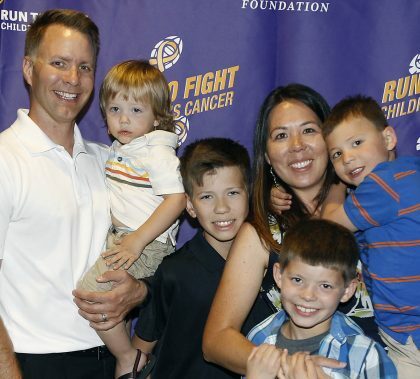 The GCU Foundation Run to Fight Children’s Cancer honored and celebrated the cancer-fighting superheros — from the littlest cancer survivors to the largest corporate donors — at a heart-felt banquet Thursday at the Canyon 49 Grill. Race Director Debbie Accomazzo thanked everyone who contributed to the raising $90,000, and the recipients, Children’s Cancer Network and Phoenix Children’s Hospital, returned the gratitude. 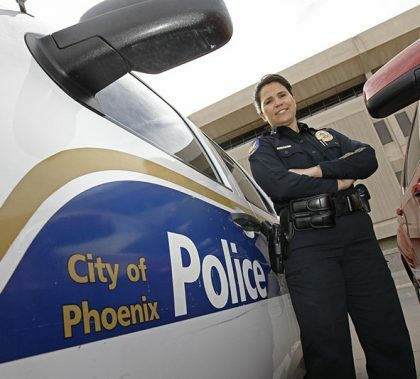 Phoenix Police Commander Lori Burgett counts her 2002 GCU degree in Public Safety as one of her most proudest achievements. “Getting a bachelor’s degree was something I wanted to accomplish, and it was something I needed to move ahead,” said Burgett, a 29-year police veteran who oversees 175 officers in the Community Relations Bureau. She was one of few women in the Phoenix department when she joined in 1987. 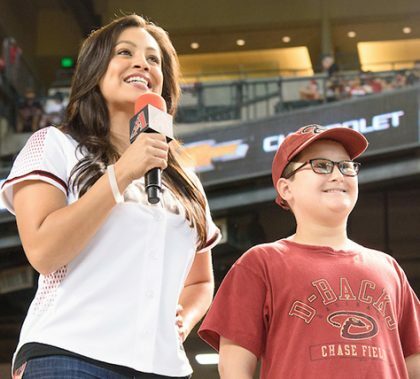 If you’ve been to an Arizona Diamondbacks home game, you’ve seen Vanessa Ramirez at work. Turn on Channel 12 in the morning, and there she is. Tune your radio to 104.3 FM in the middle of the day, and you hear her voice. There’s more, but she loves what she does — all of it. “I am the Energizer Bunny,” says the 2003 Grand Canyon University graduate.